Many small restaurant owners want to offer their employees a health insurance option but can’t always contribute to the premium or meet the requirements for minimum participation. In fact, according to this eHealth study, nearly 80 percent of small business owners say they worry about the cost of coverage and 61 percent say the cost of their small business coverage has limited their ability to award employee bonuses or offer raises. Offering health insurance is one way to attract talent, but it can also help restaurant owners lower their own health insurance costs. Recent data show that the cost of small group health insurance for business owners may be lower than purchasing an individual plan. It can be more stable too. The same report found that while the cost of individual health insurance increased 18 percent between 2016 and 2017, the cost of small business coverage only increased by eight percent between 2016 and 2017 (per person). If you are a small or mid-sized restaurant that wants to offer health insurance to your employees, but you’re not sure if you qualify or can afford it, now’s the time to take a closer look. November 15 through December 15 is the annual Special Enrollment Period (SEP) for small businesses. At least two total employees: In most states, a small group is classified as a business employing at least two and as many as 50 employees. In a few states, including New York, California, Vermont and Colorado, a small group can include as many as 100 employees. You can qualify for group coverage during SEP with just two qualifying employees, classified as common law employees that collect a W-2. No minimum contributions required: One of the common barriers for small business employers seeking group health coverage is the frequent requirement that they must contribute a minimum of 50% toward their employees’ health care premiums. For plans selected during this special period there are no minimums for contribution, so you can contribute as much or as little as you want towards your employees’ premiums. That means you can still offer health insurance benefits for employees, even if you provide no financial assistance toward the cost of premiums. At least one eligible employee: On average, states require 70 percent of eligible employees to participate in a group health plan. However, during SEP for small businesses this minimum requirement is also waived. When applying under this period as few as just one employee can enroll, no matter how many employees you have on your payroll, again, as long as you have more than two common law employees collecting a W-2 and the only covered employee is not the business owner. To take advantage of this year’s SEP for small businesses you must act before December 15. You can learn more about how to navigate purchasing health insurance for your restaurant in this informational buyer’s guide. Anthony Lopez is Senior Director, Small Business at eHealth, a private online health insurance exchange. 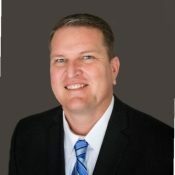 A consumer expert in small business health insurance, he is licensed in all 50 states and is a registered health underwriter. Lopez has worked to provide health insurance guidance to large national companies and small regional employers, as well as individuals and families.